1. 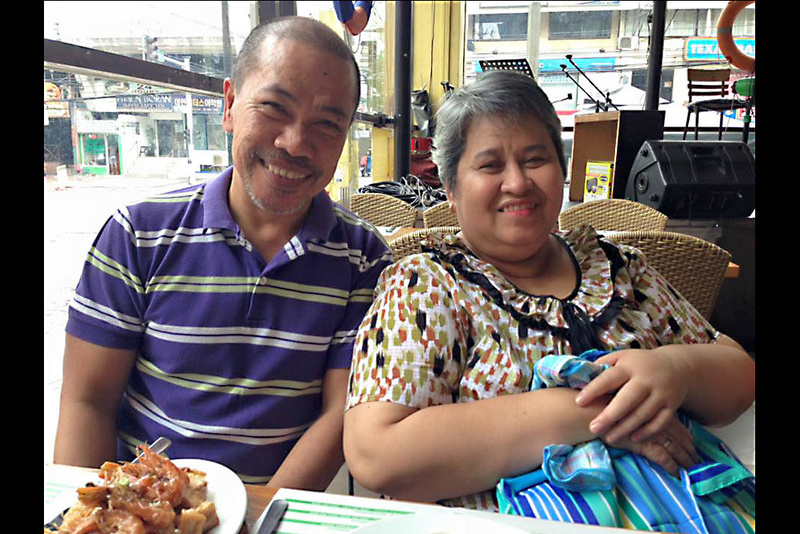 My wife, CARGULLO JEAN BUENA, is a teacher from the Philippines. She loves her job and is passionate in her dream of imparting knowledge to the youth, the hope of the country. However, she was diagnosed as breast cancer with a big tumor in 2013. In order to protect her from breast removal and severe side effects of chemotherapy, I looked for other treatment options for her. 3. We’ve been married for 23 years, looking back on our breast cancer journey, I was always there for her and finally we conquered breast cancer together. 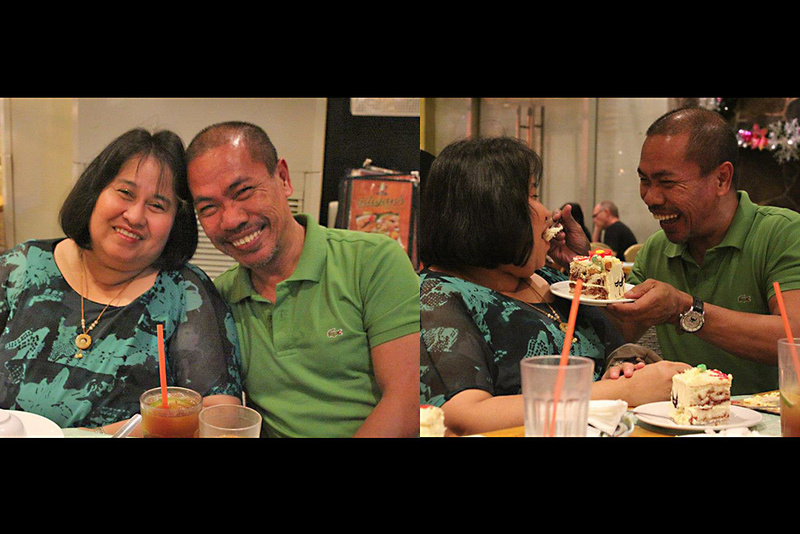 Up till now, 3 years passed, there is no sign of recurrence and we cherished a happy life. No matter what happened, we believe we can defeat it with concerted efforts. 4. 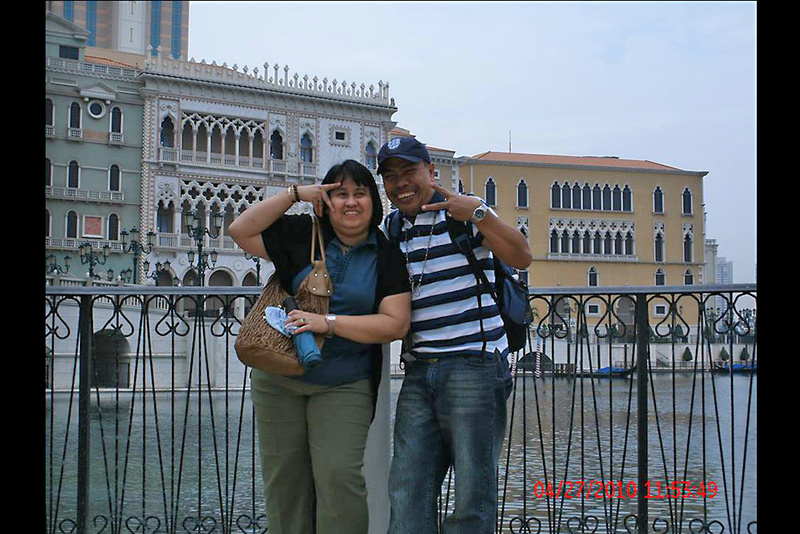 Before the detection, we had a trip to Macau in 2010, actually it was our second visit. The first time was just a daytrip when we went to Hong Kong few years earlier. Since we felt the visit was not enough for us to fully appreciate the beautiful scenery, we returned to stay for 4 more days in Macao. 5. 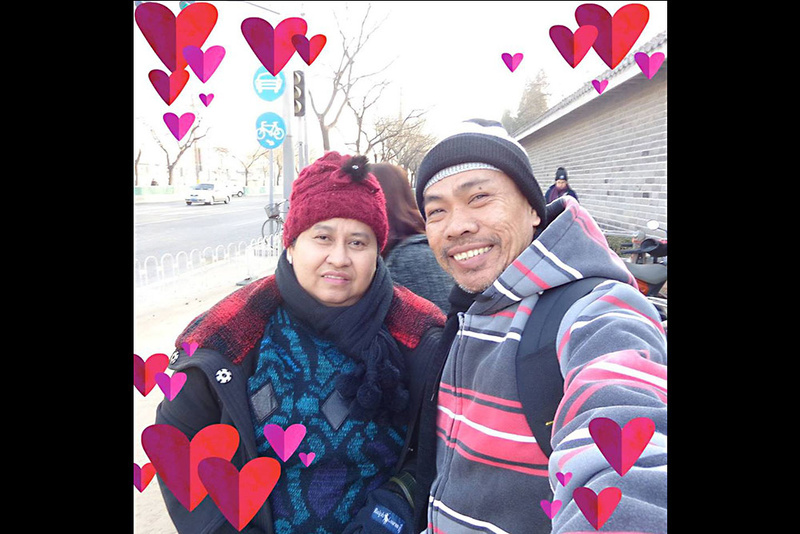 It was wife Jean’s birthday on January 2, 2013, I made her believe we just go out for our usual groceries, but actually I secretly contacted her close friends and asked them to join me in my plan. Together we held a surprise party and enjoyed a great time. 6. 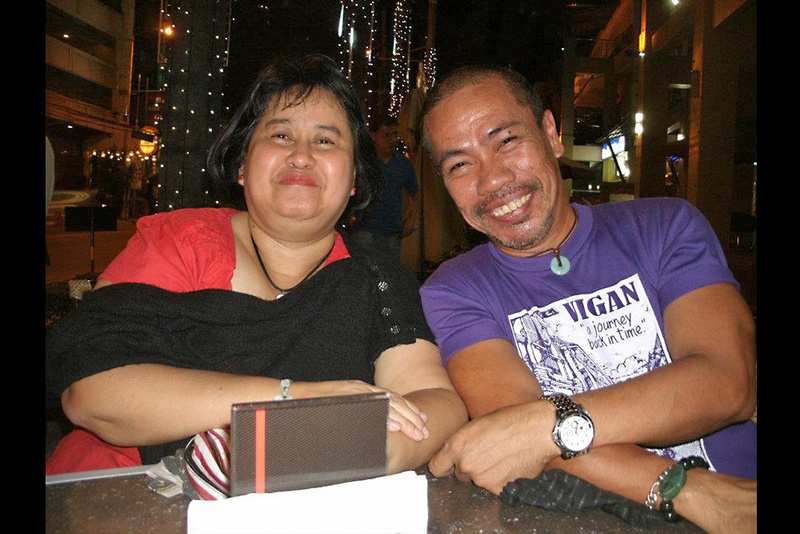 Another day in the same week, we had dinner in an outdoor restaurant along Makati Ave with few friends while waiting for our order. 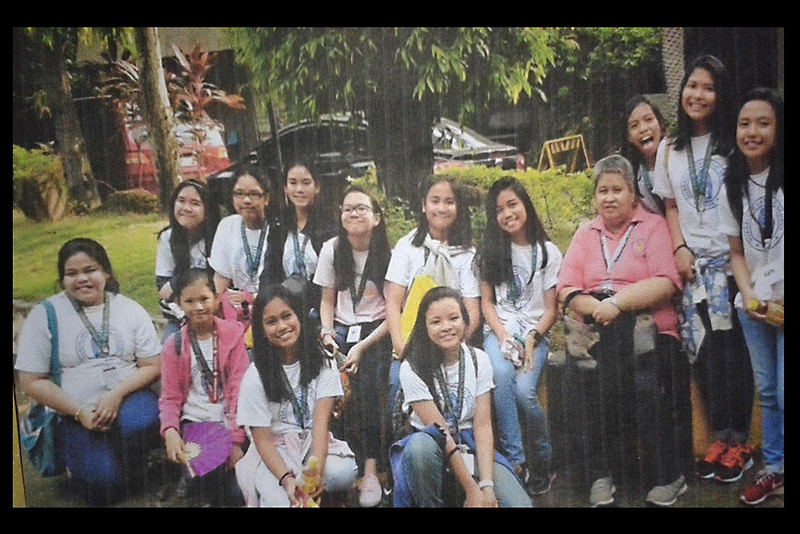 I asked my friend to take picture for us, since we cherish every moment we spend together. 7. 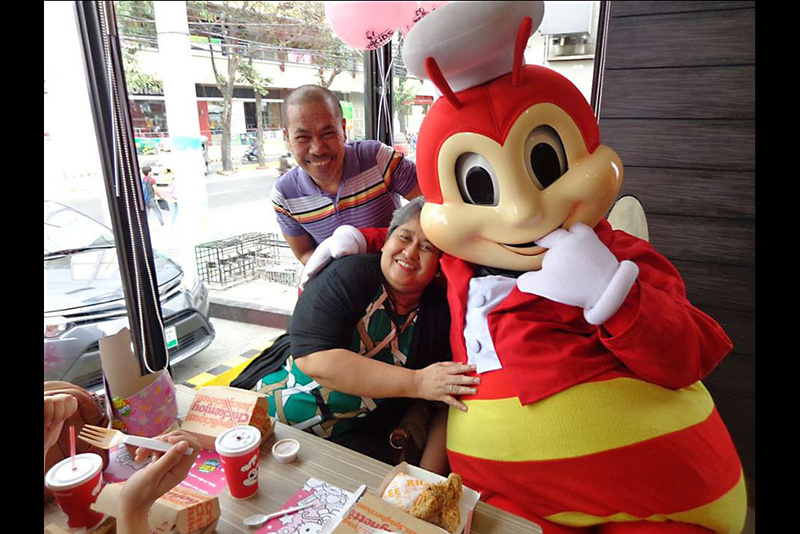 In 2013, Wife Jean was diagnosed as breast cancer. It was really disappointed news, but we didn’t lose hope, we kept trying to search for better and advanced treatment. Finally we found St. Stamford Modern Cancer Hospital Guangzhou. 8. 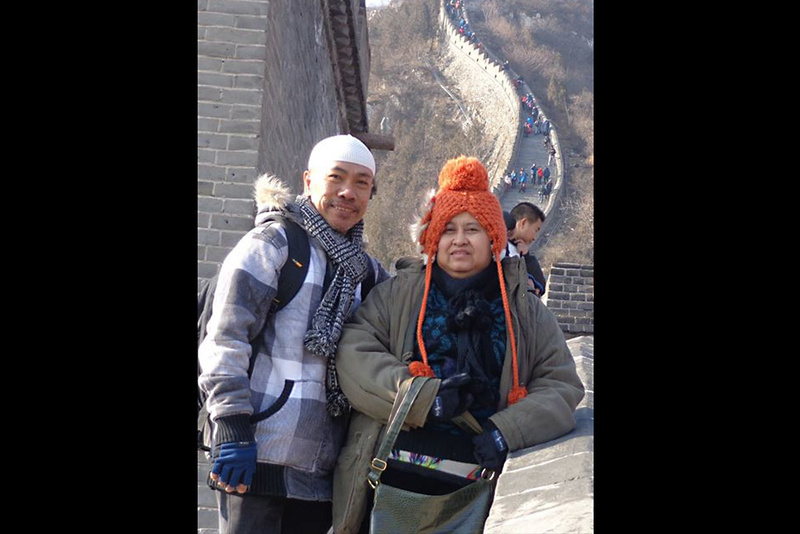 In 2014, right after our regular follow-up treatment back in St. Stamford Modern Cancer Hospital Guangzhou, we traveled to Beijing, the capital city of China. Since wife Jean teaches Asian history that’s why our trip to Beijing was a very enriching experience. 9. 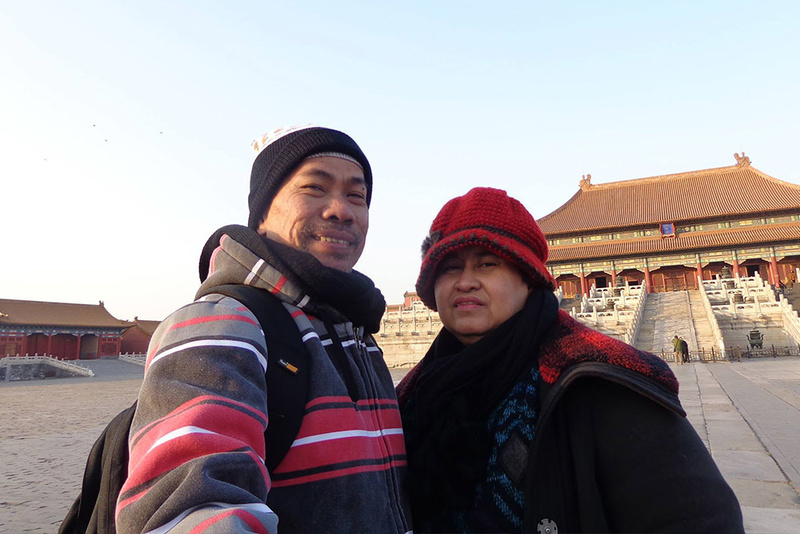 We visited many solemn and magnificent sites, like the Forbidden city and the Great Wall. Wife Jean said it was such an impressive and enriching trip. She finally got a chance to taste a bite of Chinese history and culture, which she wanted to share with her students. 10. 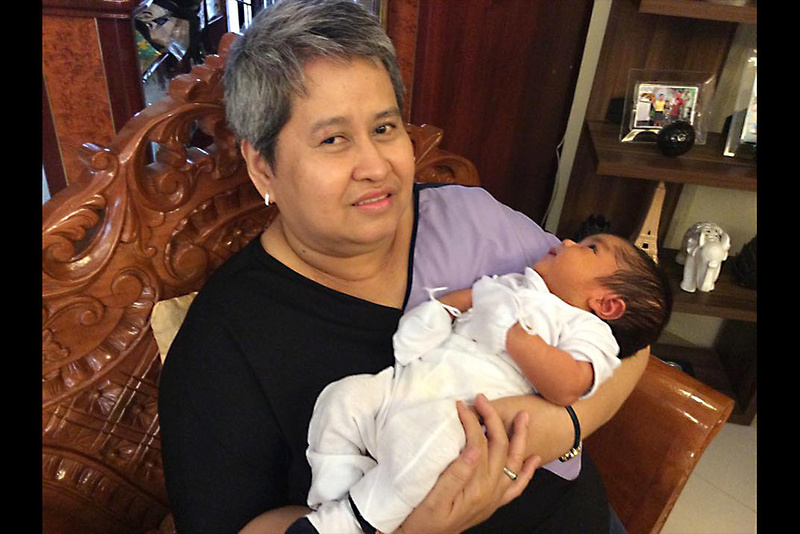 In Feb. 2015, our granddaughter was born and Jean was still in her recuperation after the treatment. The new life brought hope and comfort to the family and also helped jean's recovery. 11. 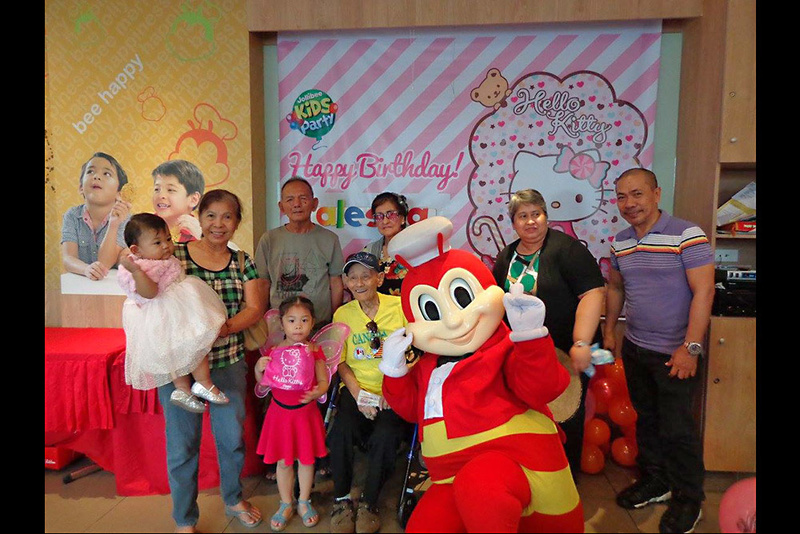 In Feb. 2016, It was a happy family gathering to celebrate the first birthday of our grand daughter in Valenzuela City, meanwhile, to congratulate wife Jean’s gradual recovery. She was in good condition after the treatment. 12. Later, we took follow-up recheck in St. Stamford Modern Cancer Hospital Guangzhou. 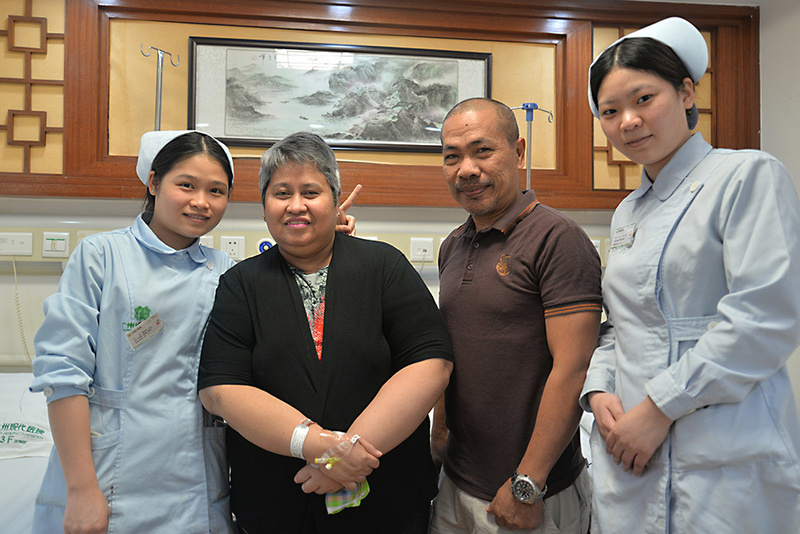 After interventional therapy and cryotherapy, the tumor cells in Jean’s body have been destroyed and her condition is currently stable and there was not a sign of cancer recurrence. 13. In April 2017, we just finished a visit to Bacoor, Cavite and stopped over for lunch at Golden Bay Seafood Restaurant. Since Jean yielded good efficacy, we can freely travel around and enjoy beautiful scenes and delicious food. 14. 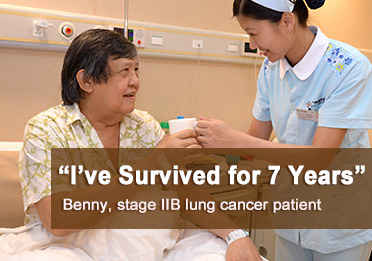 We’re so glad that we chose St. Stamford Modern Cancer Hospital Guangzhou and minimally invasive treatment. 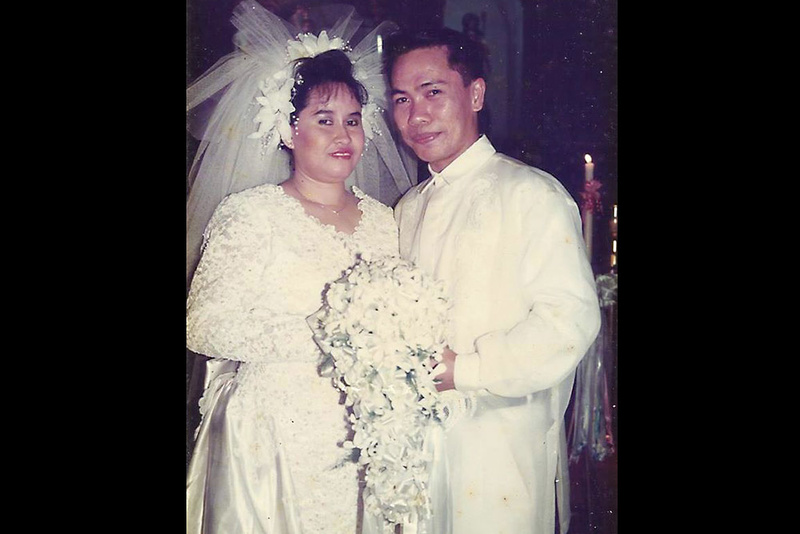 It’s been four years and wife Jean didn’t suffer any recurrence. 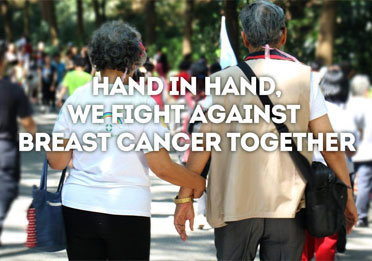 After this breast cancer journey, mutual understanding and support prove our eternal love. Copyright© 2017 St. Stamford Modern Cancer Hospital Guangzhou, China All Rights Reserved. *Therapeutic effect depends on individual patient's condition. The content of this website are for informational purpose only. They cannot be taken as the basis of medical diagnosis and treatment or even replace the diagnosis and treatment given by doctors. Please refer to Terms and Condition for more information.